Tucson Magicians for fun entertainment and fantastic events! The Longest Running Arizona Theater Show! National recipients for Excellence in Magic, house entertainers at the world's finest resorts, & featured performers at the Magic Castle. 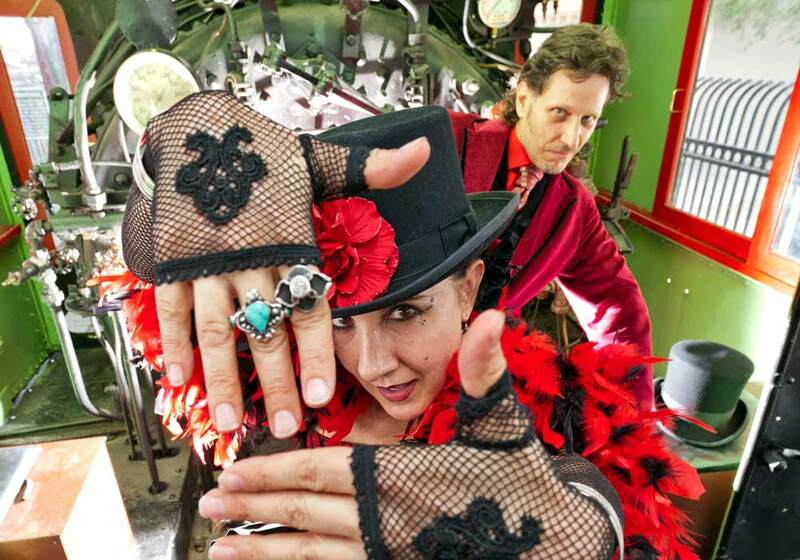 Tucson magicians Roland Sarlot and Susan Eyed create a magical show where international music carries the mood, magical effects interlace with stories from worldly adventures, and the audience is a passenger on this interactive travelogue of wonder. It's part vaudeville-roadshow and part old-world magic all bound together in a passport filled with FUN... and with YOU! Check ticket availability for the "BEST SHOW IN TUCSON! 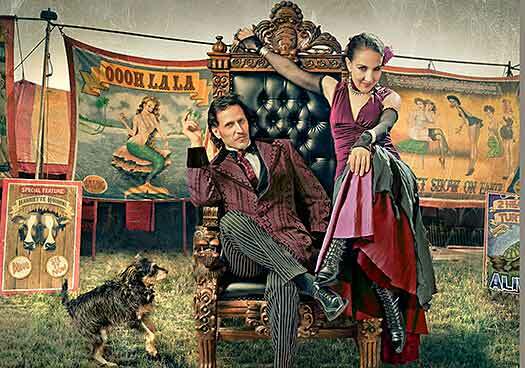 Carnival of Illusion, with their special art of magic and illusion, can be seen regularly at the historical Tucson landmark, the Tucson Scottish Rite building which was officially opened in 1916. The building, which is on the National Register of Historic Places is a great setting for this night of "Magic, Mystery and Oooh La La". It is sure to please whether you are on a date-night out or are bringing the whole family for a special occasion. This travel-themed illusion show has plenty of magic and surprise, catering to small audiences and an intimate experience. The personal touches like the opportunity to shake hands with the performers after the show, as well as souvenir tickets stamped in silver ink and your keepsake playbill will help to make the show truly memorable. Any questions? Helpful employees are just a phone call away and they are more than happy to help. Do you remember seeing your first magic show? Or maybe you have yet to experience this age-old artform. It is hard to pinpoint when the first conjurers and magicians began to make a trade out of illusion and disbelief. Some references are made on Egyptian papyrus about unbelievable feats, but it is certain that the ancient Romans performed the timeless trick of Cups and Balls. After that magic fell into disrepute and was considered witchcraft and who wanted to be burned at the stake? By the 1500s books started to appear on the subject, revealing conjuring secrets, but it is not until the 18th century that our modern idea of the magic show starts to be enjoyed. Who hasn't heard of Harry Houdini and his great escapes? Or how about David Copperfield, who is one of the most successful magicians of all time, winning 21 Emmy awards. Since then magic has been getting bigger, better and more exciting with fans of this artform coming from around the globe. We discovered you in magic in Arizona, and it was a great show. We will be looking forward to our fourth time.